This week, Seven Days surveys the Adirondacks' burgeoning craft beer scene. 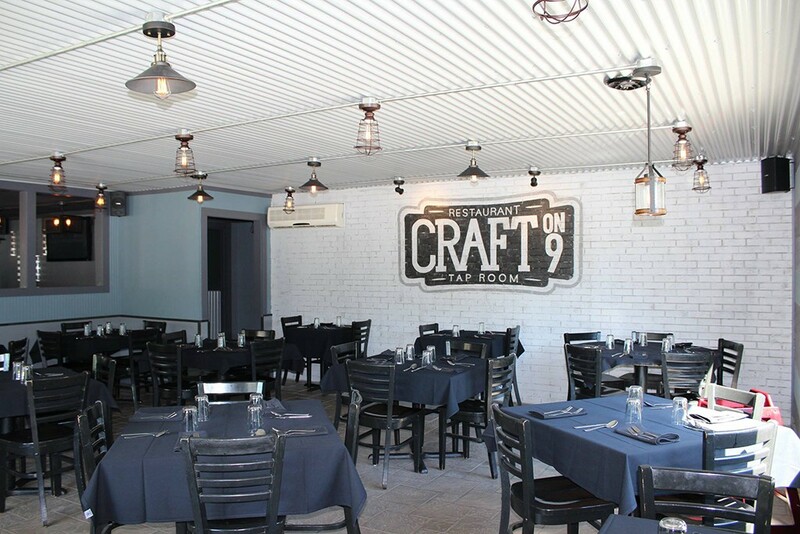 Now it has a new addition: Craft on 9 Tap Room in Fort Edward, N.Y., a bar where coveted local craft beers wash down gastropub-inspired bites. Opened on July 1, the bar is already a watering hole for both neighborhood regulars and nature-seeking passersby. On Seven Days' visit there, bartender Crystal Talback manned the taps behind the wide wooden bartop, while a trio clad in hiking boots lounged in Adirondack chairs outside. The short but well-curated draft list ranged from area favorites, such as an olive-hued oatmeal stout from Mean Max Brew Works in Glens Falls, to California sips from Green Flash Brewing and Ballast Point Brewing. Food was also on offer, with small plates such as green-tomato gazpacho with crème fraîche, duck confit with a pink-peppercorn brandy sauce, and grilled local corn served street cart-style with lime butter and roasted poblano sour cream. Larger eats included a loaded bacon burger, seared wild salmon with pesto and pickled rhubarb, and char-grilled chuck-flap steak with housemade frites and roasted shallot demi-glace. For dessert, there was always that second draft. The original print version of this article was headlined "Entrées"